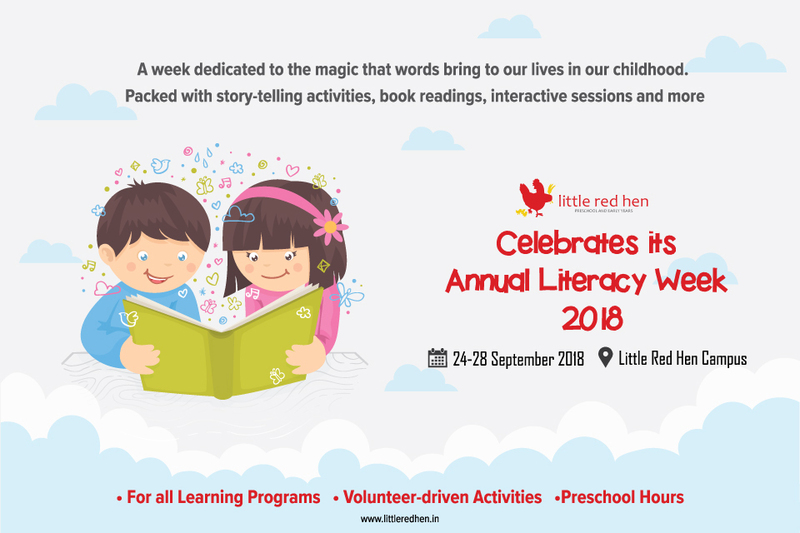 Little Red Hen Preschool & Early Years transports children into the magical world of books by celebrating its Annual Literacy Week 2018 from the 24th of September- 28th of September. It’s going to be a week of “Once upon a times” and fantastic multiverses. We will leave no story untold to ensure that our young ones discover the joy of imagination, creativity and all the little learnings that come with it leave a lasting impression in their journey ahead. This journey into the mystical land of imagination has an interesting lineup of activities that will leave your child enthralled and more inspired by the end of the week. Day 1 brings the magic of story-telling through puppetry. 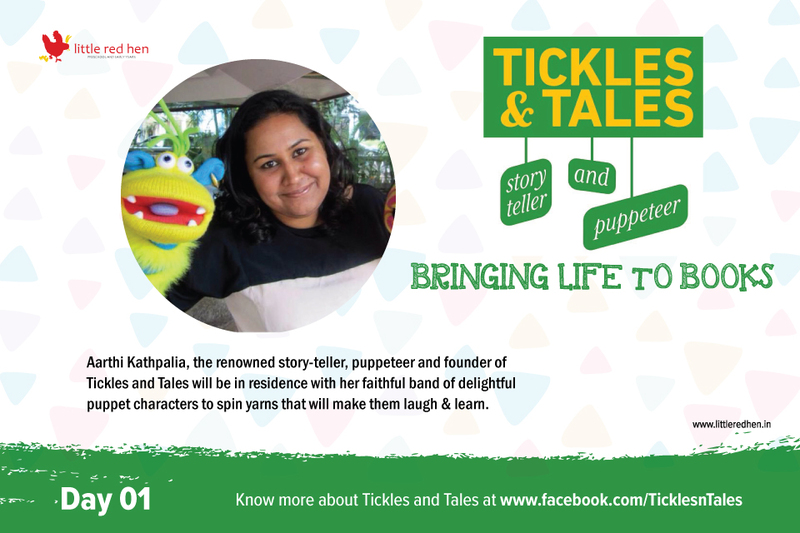 Ms. Aarthi Kathpalia, the renowned story-teller, puppeteer and founder of Tickles and Tales will be in residence with her faithful band of delightful puppet characters to spin yarns that will make them laugh & learn. The beautiful sceneries described in stories, is not just a figment of their imagination. The latter half of the day would also have a participatory craft activity wherein our children will help build the story backdrops. The magic of storytelling continues. 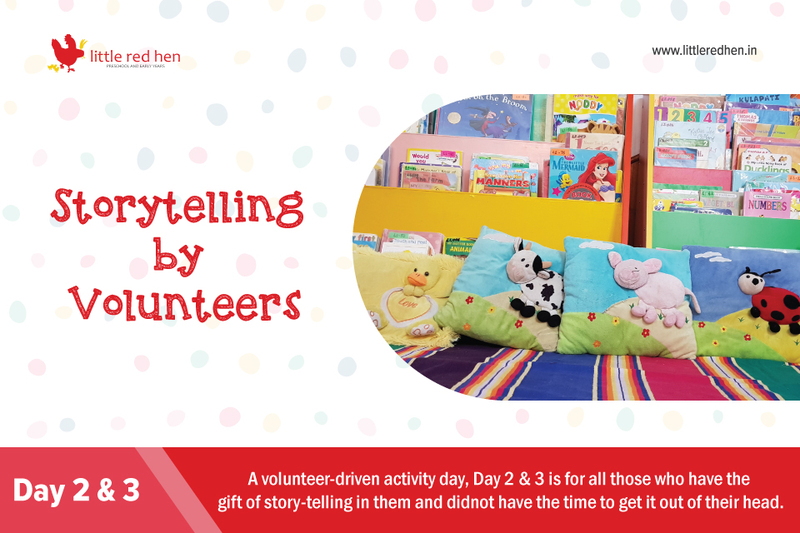 Volunteer-driven activity days, both Day 2 & 3 is for all those who have the gift of story-telling in them and didnot have the time to get it out of their head. With craft-activities that will take the ideas furthur, this would also be a great way to introduce art and activity combined, into their budding imagination. On Day 4 we plunge deep and explore other aspects of storytelling, led by Smitha Srihari, co-founder of Little Red Hen Preschool & Early Years. Story Characterization : For the Toddler Play group, Smitha will keep the toddler play group engaged by delightful animated versions of everyday stories. StoryBoards: The Toddler Education class is going to learn a thing or two wherein a story is depicted with pictorial representations. 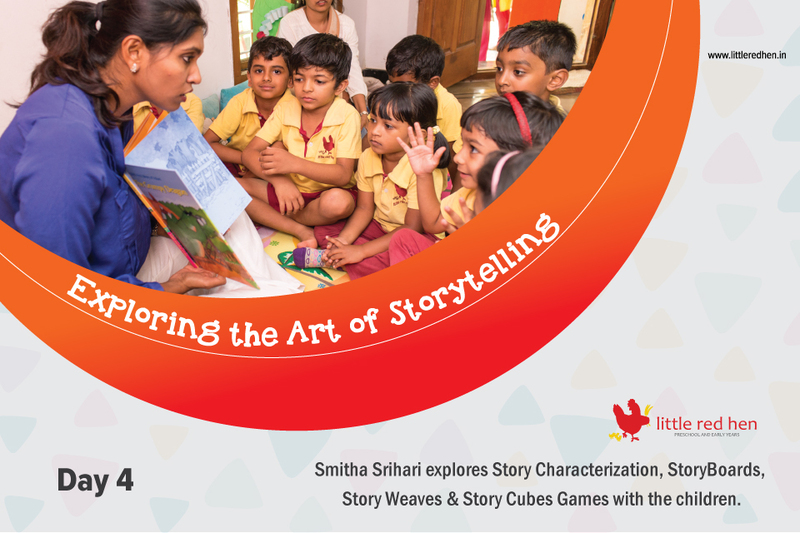 Story Weaves: Smitha is going to challenge the imagination of Foundation 1 students by organizing activities which require them to weave a story of their own. Story Cubes Games: Ms Smitha will equip the Foundation 2 class with better problem solving skills by engaging them in interesting story cube games. 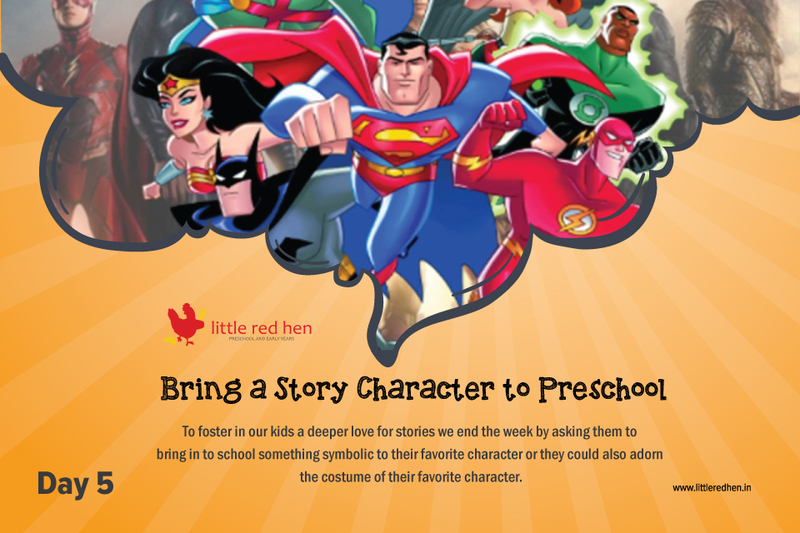 To foster in our kids a deeper love for stories we end the week by asking them to bring in to school something symbolic to their favorite character or they could also adorn the costume of their favorite character. The week will come to a culmination with each child narrating to the entire group a few lines about their favorite story/ character. Little Red Hen Preschool & Early Years is striving towards establishing in every child an everlasting love for stories. A book is a confidante, a source of strength in the most troubled times, a solace in loneliness, one- stop for vocabulary enrichment and the list could go on. Aren’t these reasons enough? Come this Literacy week let’s pledge to teach our children the value of those hours spent pouring over books.